Happy holidays, PCA Milwaukee Region members. We've already had more than one reminder that winter has arrived in the Midwest. Grab a mug of cocoa or your favorite beverage and check out the latest news and items of interest to Porsche owners in the December Steinlifters Online. In this issue you will find a useful checklist when storing your car for the winter, the season standings for autocross, a sneak preview of Porsche's new four-door grand touring sedan, Brian Redman's insights on a new road course he designed, and more. Scroll down for all of the contents of this issue. Board meetings -- All members are invited to attend the monthly board meetings, which are always held on the first Thursday of the month, starting at 6:30 p.m., at Brew City Grill, on Hwy. 57 in Mequon. Join us. Listen as the board discusses the business of the region and contribute an idea or comment. You elected the board; they're available to hear you at these meetings. Following the meeting, there's always time for socializing and conversation. Carrera Chili -- Save the date, Saturday, Feb. 28, for Carrera Chili, the annual social gathering that involves lots of fun and some culinary competition as members bring batches of chili for testing by a panel of judges selected from among members who do not have an entry in the competition. More details here. Ladies' Only Driving Tour -- Join women from the Fox Valley region on a one-day trip to Door County on June 13. Grab the Porsche keys and have some fun in the company of other women. 2009 Motorsports Calendar -- Cheer up. The motorsports calendar for 2009 is starting to fill in. Check out dates that have already been confirmed here. Storing your car for the winter. Check out this comprehensive checklist if you store your car for the winter. Autocross season final standings. You'll find some familiar and new names on the list of the season's final standings in the autocross competition. Read Autocross Chairman Bruce Tammi's year-end report and see who secured a trophy for navigating the course defined by green cones. Boxster/Cayman make top 10 list at LA Auto Show. MSN, an online news site, lists the Boxster/Cayman as one of the 10 best cars at this year's auto show in Los Angeles. Read all about it here. 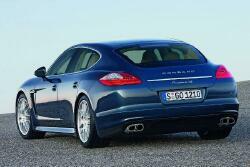 Meet the Panamera. Porsche reveals photos of its new four-door grand-touring sedan, the Panamera. Pro driver applies his experience to track design. Legendary Porsche driver Brian Redman designed a new road course in New York. Read the N. Y. Times story about the new track. Video is included. Snow at Nurburgring no match for Porsche. 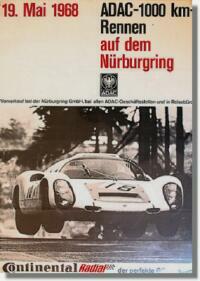 The legendary Nurburgring track in Germany is thrilling enough when conditions are ideal for track time. 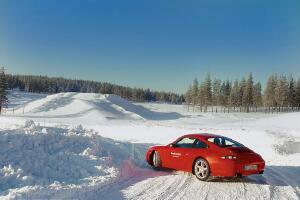 Check out this video with a Porsche in snowy conditions. Nurburgring is 70 kilometres (43 mi) south of Cologne and 120 kilometres (75 mi) northwest of Frankfurt. Nicknamed The Green Hell by Jackie Stewart, it is widely considered the toughest, most dangerous and most demanding purpose-built race track in the world. GT3 takes on a snowy course. Here's another sleigh-ride, Porsche-style. Remember to add a few stocking stuffers emblazoned with our Region's logo. You can find lots of goodies in our region's Merchandise Store. Click here to do your online shopping. Find a photo of your car and share it. The photos on the home page of this site rotate randomly everytime you refresh the page. Let's see more member cars in this assortment. During these quiet winter months, sort through your electronic files and send a jpg of your car to the webmaster, beverly.jurkowski@sbcglobal.net.